Welcome to FLX Auto Group! You’ve found Canandaigua’s do-it-all auto repair shop. 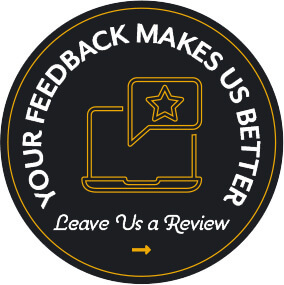 Join our family of satisfied customers by trusting all us with all of your repair needs: from high-end imports to RVs and 4x4s. At FLX Auto Group in Canandaigua, NY, we believe in lasting relationships with our customers. Just like your relationship with your doctor, we want to be there for your vehicle’s “sickness” and its health. Our shop is focused on avoiding costly repairs by performing routine maintenance services that keep you two steps ahead of any malfunction or breakdown. Honest & Trustworthy–Find Out the Truth Today! 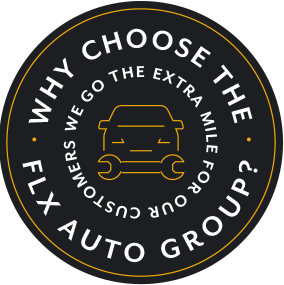 FLX Auto Group is always here to keep you on the road. We understand that you have better things to do than visit our shop, but following one of our service plans will prevent an array of repair needs down the road. ‘An ounce of prevention is worth a pound of cure’ is a saying we’ve all heard, but it’s also our proven philosophy that keeps your vehicle in optimal condition. Prepare for that cross-country road trip, bringing that old model camper out of retirement. Or push your high-end import to its limits, knowing that the dedicated team at FLX is riding shotgun with you! Time is of the essence, and there’s no time for procrastination when it comes to quality auto services. Our specialists want to keep you safe, confident, and comfortable on the road. If you’re part of our family of customers and your vehicle is experiencing major malfunctions or repair needs, we take it personally. You should be out on the highway enjoying enhanced driving experiences without worrying about check engine light problems because we’ve been giving you quick and convenient maintenance services and State Vehicle Inspections. Our RV customers may not know that we repair and maintain their automobile, while import drivers may not know that we service RVs. Give us a call today at 585-394-1985 with any questions or concerns that you may have. We remain on standby, ready to perform any maintenance inspections, engine diagnostics, or complex repairs for your vehicle. Next time you’re in the area, feel free to stop by! We gladly accept all of our walk-in customers. No matter what you’re driving, we got you covered! You may know us through our exceptional RV services, which includes new and older model campers, but our expertise extends to your car, truck, or SUV. One thing you can always count on at FLX Auto Group is a commitment to excellence, no matter your vehicle is or its condition. Top-of-the-line is not only a phrase that describes our repairs, but it describes our team. We welcome you and your vehicle to our facility with open arms and open ears. Whatever’s concerning you is our number one priority! 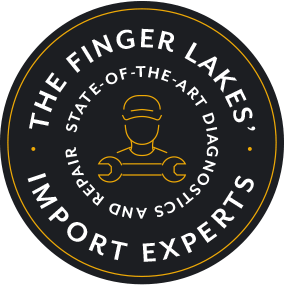 Our friendly and professional staff invites motorists throughout the Finger Lakes and Canandaigua areas to our state-of-the-art facility. We’re using the industry’s most advanced technologies to get you back on the road. Dave and his team at FLX Auto Group are great - their commitment to customer satisfaction is top shelf. The service department has helped us work out a number of kinks with an older RV we purchased. Their knowledge and ability to find cost effective solutions has been outstanding. Will recommend them to friends!